Congregation Ohr Torah in West Orange celebrated Purim with three events. 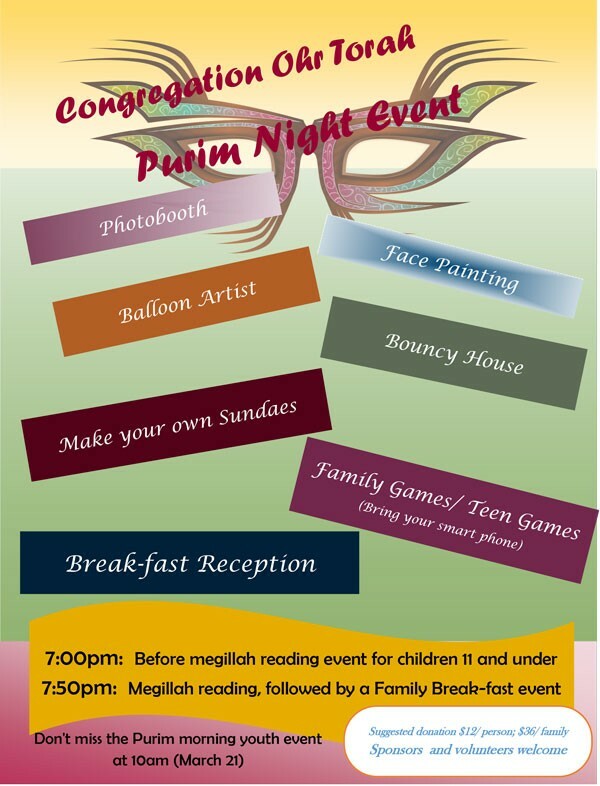 First up was a pre-Megillah reading event for children which included face painting, make-your-own-sundae, a bouncy house and a photo booth. Children came dressed in a variety of costumes from princesses to IDF soldiers to superhero Black Panther. The Megillah reading was followed by food and games for the grownups. All of the attractions from the earlier event were available so parents and children were able to have fun together as families. On Purim morning, during a late Megillah reading, a yo-yo master juggler put on a show for the younger children. There were yo-yos flying everywhere and everything from balls to plates to handkerchiefs were thrown around, with some of the kids helping the juggler. The smiles on the children’s faces indicated that they had a blast!